NEW ORLEANS, LA -- Here's a cute family photo we just had to share -- Anna is 95 years old. Collette just turned 9 months old. But age is just a number, and it's not something that's stopping Anna from teaching her great granddaughter a thing or two. 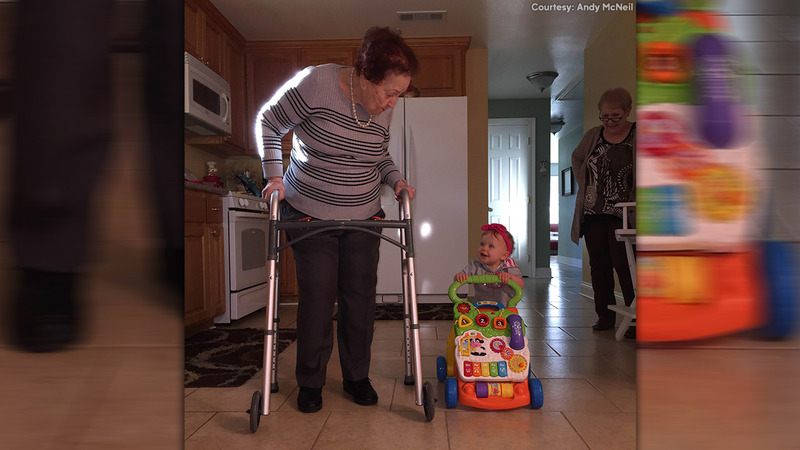 Family members tell abc13 that in this photo, Anna was helping show Collette how to walk! Got a precious family photo you'd like to share? Share it on Twitter, Instagram, or Facebook by tagging it #abc7now!